Lichen is a type of fungus that lives on air instead of other plants or animals, as other fungi do. 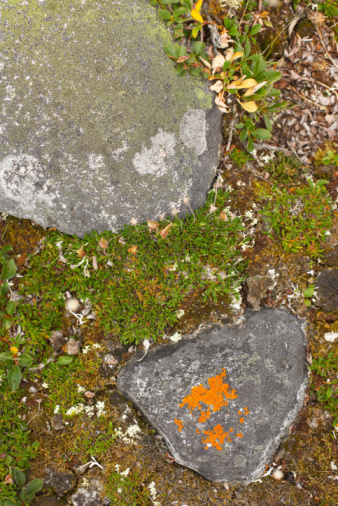 Gardeners wanting an old-world look to their garden grow lichen because it is self-sustaining and can grow anywhere, including on rocks, soil, leaves and bark. 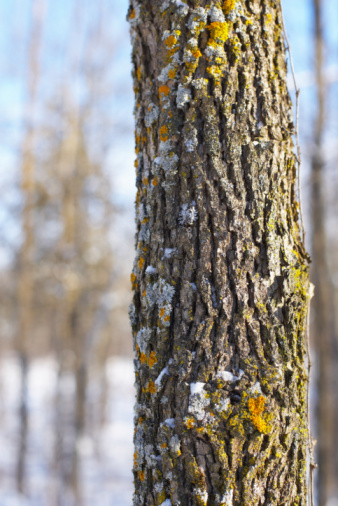 Other advantages that gardeners see in lichen are that it doesn't grow roots and does not need stored water to survive. However, to get lichen to grow quickly in a particular area you need to add a special growing formula that allows the fungus to develop quickly. Purposely grow lichen for that old-world garden look. Move rocks to a shady area in the garden. Lichen doesn't sustain itself for long in total sunshine. Spray the rocks generously with a one-time liquid seaweed fertilizer, milk or yogurt. Milk is the most available and is very easy to apply. Notice the stones darkening with lichen growth in a few weeks. Expect the rocks to be covered in heavy lichen within a couple of years. Boil a pint of milk, 1 tsp. of yeast, 1 tsp. of flour, 1 tbsp. of green algae powder, 1/2 tsp. of gelatin and 1/16 tsp. of water-soluble compost containing micronutrients. Let the mixture cool to room temperature. Check the weather to make sure it is a dry day. You want to avoid spreading the mixture on a rainy day. If the weather is not adequate, store the mixture in the refrigerator for a couple of days. Add 2 tsp. each of soil and lichen flakes to the mixture when you are ready to spread it on the rocks. Dip a paintbrush in the mixture, and paint on the rocks. Expect new lichen to start growing within a couple of weeks. Naoma Serna began writing in 2009 and has written for several online publications like Boomers Abroad and Point South Magazine. She is pursuing a Bachelors of Arts in French literature and has other specialized interests in photographic art, computer technology and fine arts.